I was not sure what Tartarus was. Could it be the name of a lion or of a Biblical figure or of hell? 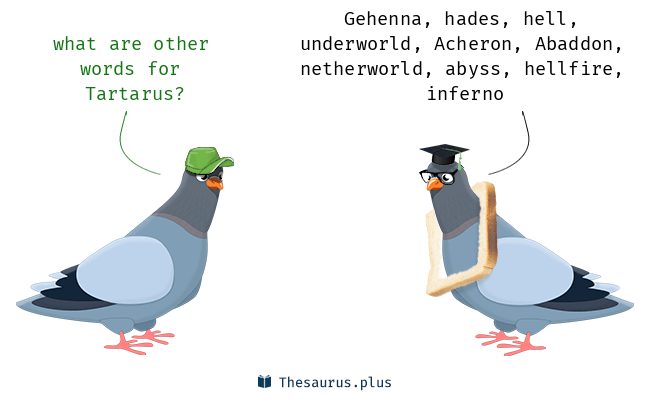 I had heard references to Gehenna in the New Testament, but not Tartarus. Gehenna was the refuse dump outside Jerusalem that was always on fire. Jesus said hell was a place of worms, maggots, fire, and trouble. From that we get the image of a lake of fire and the concept of perpetual burning. Still unsure what Durufle was saying, I searched the internet for some clues and had to go Greek. In Greek mythology, Tartarus is the name both of a deity and a place. 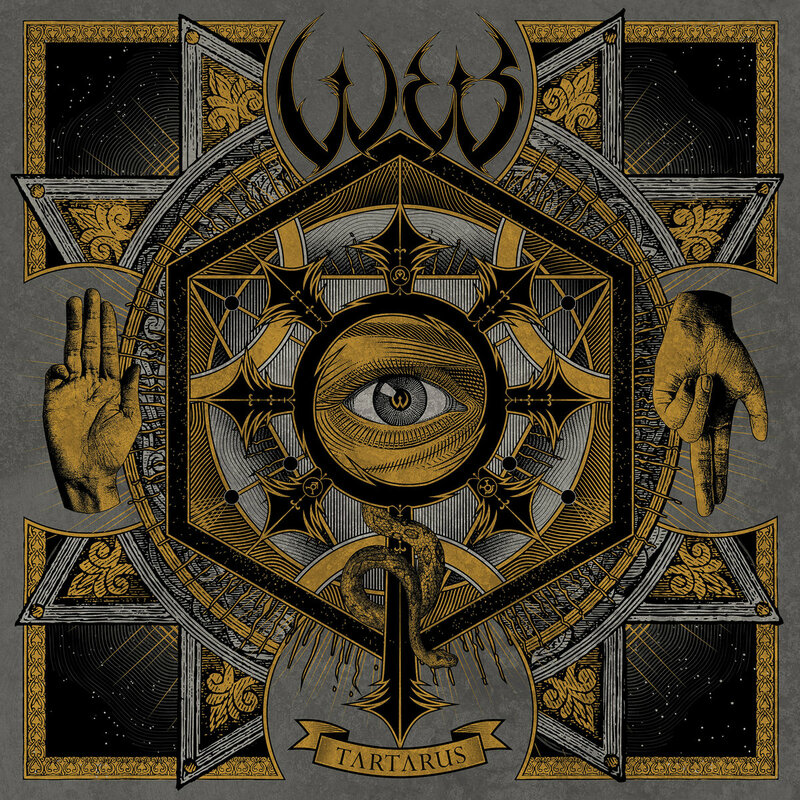 The deity, Tartarus, is a primordial being that existed before the Olympian gods and their predecessors, the Titans. Tartarus, the place, is far better known than the deity. Initially, Tartarus was imagined as a great pit beneath the earth, which served as a prison to those who threatened the Olympian gods. Later on, however, it was re-imagined as a type of Hell, where those who had committed heinous crimes while living were punished in the prison of after life. Like the other primordial figures. Tartarus was considered a purely elemental being, rather than a god, like the Titans or Olympians. Tartarus was closely linked to as a place, a prison for the damned. For instance, Gaia was not a deity of the earth, but the Earth itself. 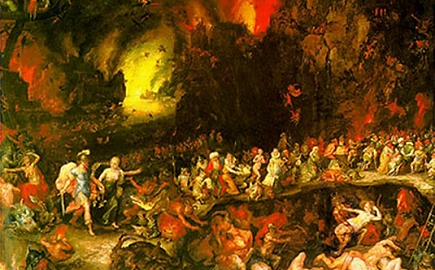 Similarly, Tartarus was not a deity of the Pit, but the Pit itself. The difference between the two figures is that Gaia features more prominently in Greek mythology, particularly in the myth explaining Kronos’ rise to power and his overthrowing of Ouranos, his father. In the process, Gaia, though purely elemental, is transformed into something that Hesiod’s readers can perhaps relate to better. Gaia came up with a trick to castrate Ouranos, spoke to her children, the Titans, and was delighted when Kronos agreed to carry out her plan. 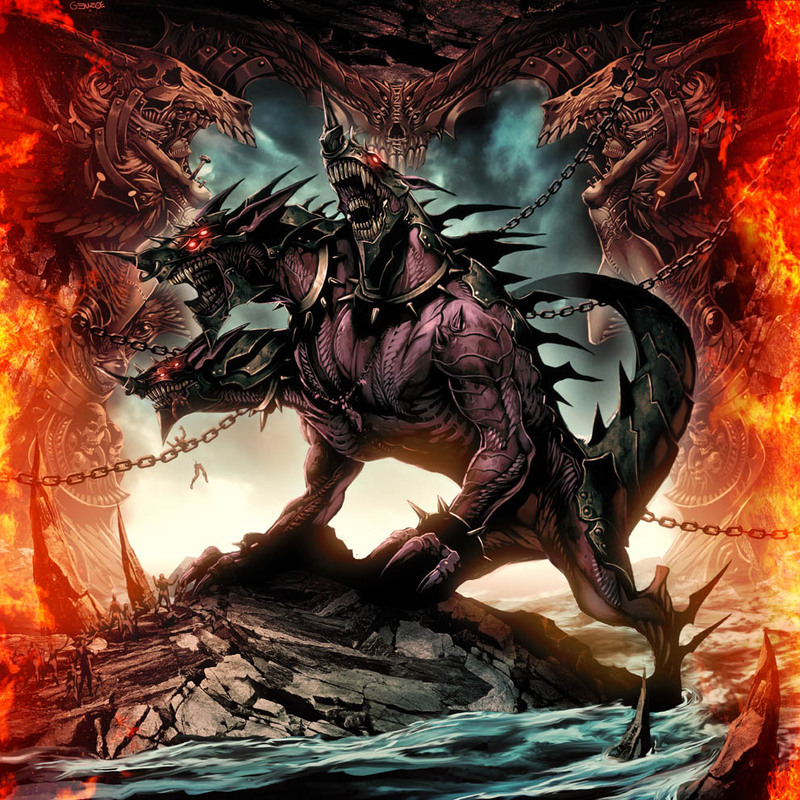 Tartarus, by contrast gets no such treatment in the myths. 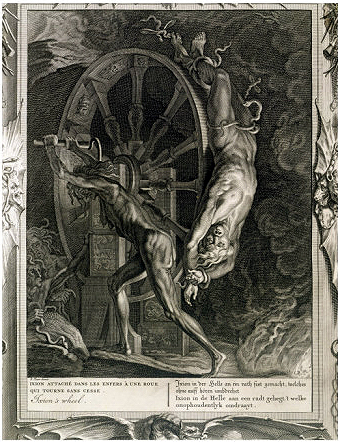 Above, Francisco Goya depicts the outcome of the Titan Kronos, when he fears that he will be overthrown by his son, decides it is better to devour him than lose power. Later on the Greeks re-imagined Tartarus as not just a prison for the Titans and other great enemies of the Olympians, but also as a place of punishment for those who committed terrible crimes. 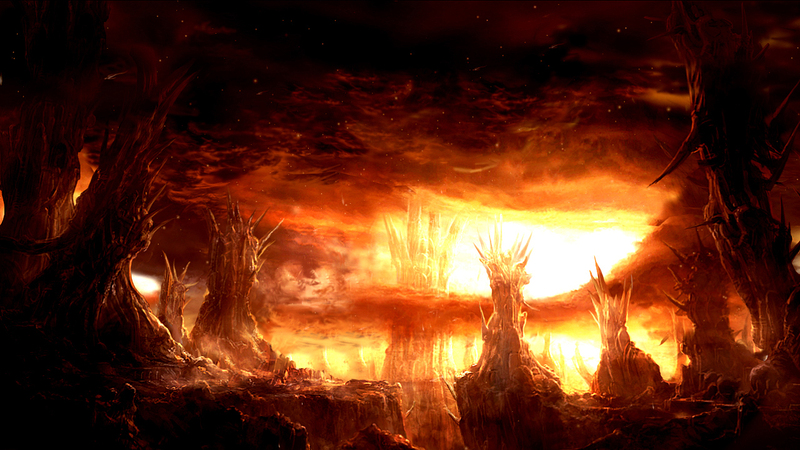 As a realm where the wicked are punished, this view of Tartarus serves as a contrast to the concept of Elysium, or Heaven, where the righteous are said to reside. 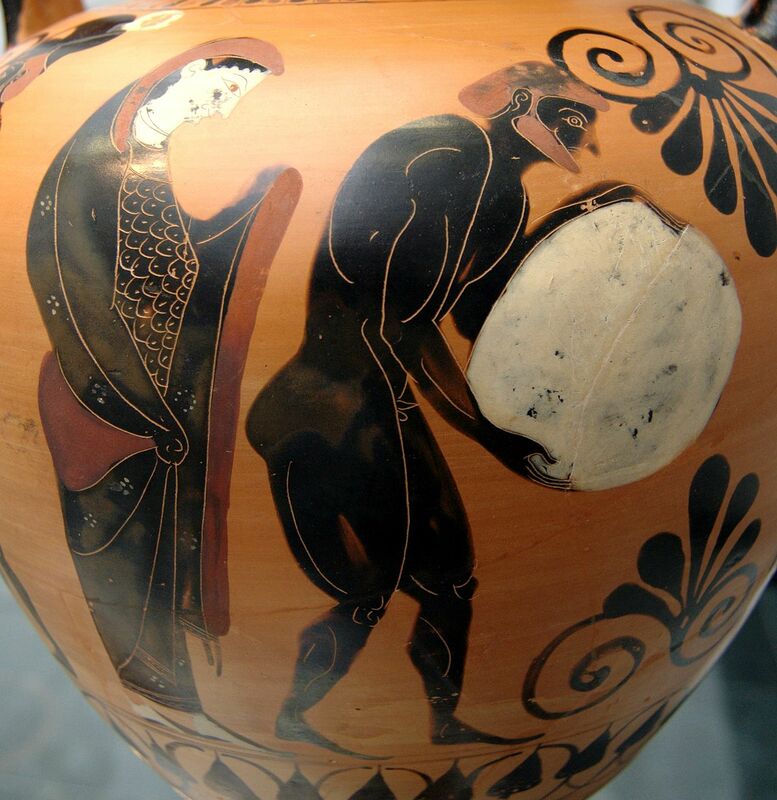 Persephone supervising Sisyphus in the Underworld, Attic black-figure amphora, c. 530 BC. 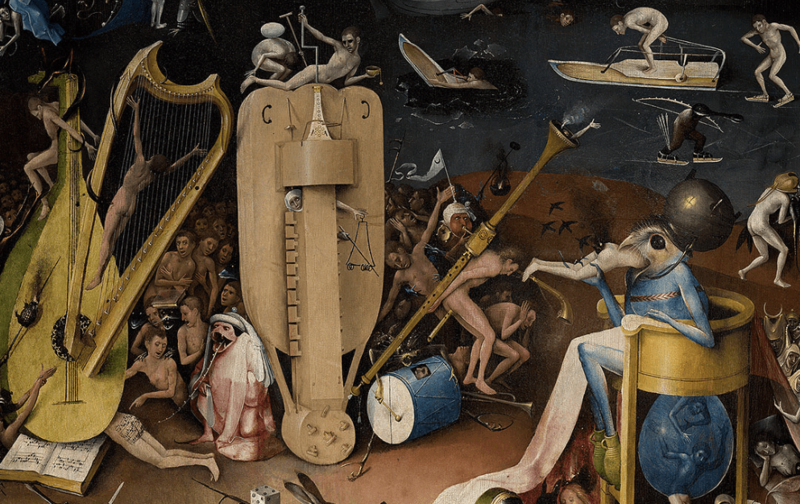 Tartarus has gone on to become a place of folk lore. It is a territory of torture in lots of modern day video games, deviant art and fairy tales. Stay tuned. 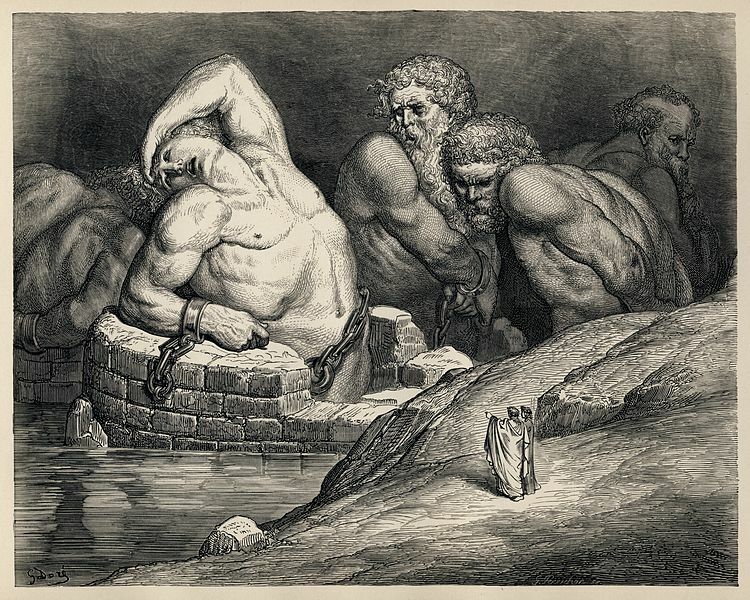 The ever-expanding list of fantastic creatures and forms of imprisonment are growing exponentially, giving new life to this ancient Greek myth and its Pit of Pain.